UK Cemetery: Share a Grave with a Stranger? 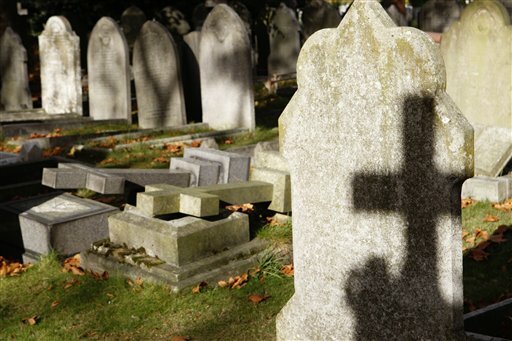 In efforts to conserve and open up more grave space, the City of London Cemetery, the largest graveyard in the city, has begun reclaiming graves — digging up corpses at least 75 years dead, reburying them deeper, and putting new bodies on top for “double-decker” graves. Many other European countries regularly reuse old graves after a couple of decades. Britain does not, as a result of Victorian hygiene obsession, piecemeal regulation and national tradition. For many, an Englishman’s tomb, like his home, is his castle. Posted by Meg Holle in Burial, Death Ethics and tagged reusing graves. Bookmark the permalink.